As a kid growing up in rural Pennsylvania, I had long dreamed of a life out West, shopping at farmers’ markets and hosting dinner parties featuring earthy Pinot Noir and picturesque salads with shavings of candy-striped Chioggia beets. My muse was the pioneering chef Alice Waters, whose books I devoured and whose legendary restaurant, Chez Panisse, I longed to visit. At 33 years old, I finally got there. The meal was the centerpiece of a weeks-long motorcycle trip with my boyfriend, Winston, down the Oregon Coast, through the Mendocino Valley and across the San Francisco Bay. I expected some kind of palace in Chez Panisse, a château-like facade framed by yarrow blooms and sweeping oak branches. But as we walked down Shattuck Avenue, the street Winston grew up on, the entryway loomed into view and I found nothing palatial about it. A simple bouquet in a ceramic vase topped a vintage wooden side table in the entryway. Hung carefully from the north and south walls in the foyer were movie posters. 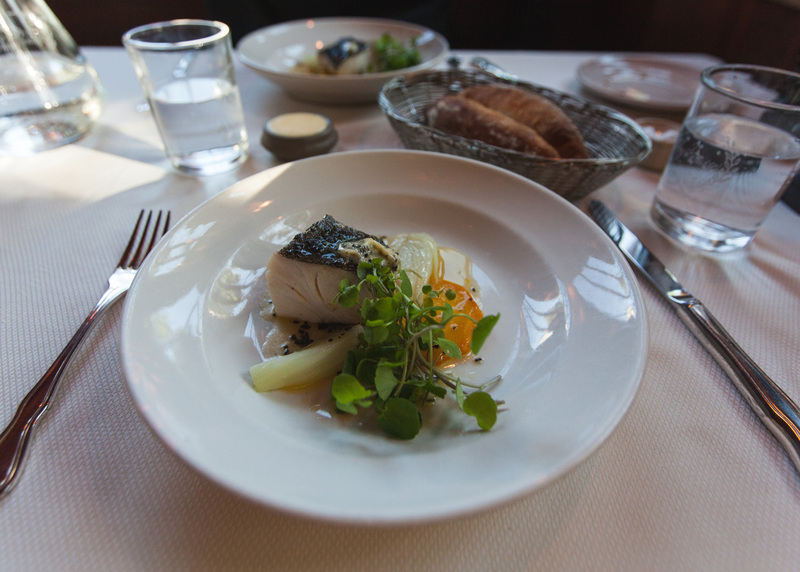 Waters named Chez Panisse after a fictional character, Honoré Panisse, from her favorite French films: Marcel Pagnol’s 1930s trilogy about life in the port of Marseilles. The characters aren’t nobility; they’re working-class townspeople who gather in waterfront cafés, sipping pastis and chit-chatting over the crack of fresh shellfish. I read Waters’ biography just as I was launching my first business, in 2011: a grocery store on wheels that sold fresh food to people who lived in remote communities or wandered the alleys between expensive condos; people who worked as hard as anyone else but still couldn’t quite grasp the American Dream. My customers weren’t just lacking resources; they were trapped by socioeconomic barriers that felt like a keep out sign. For these and so many Americans, eating well had become a luxury, not a right. “I grew up a mile away and never knew this was here,” Winston mused as we raised our aperitif: a delicate medley of fortified wine and elderflower. “Not that it would have mattered.” I assured him that Alice Waters never went out to dinner as a child, either. I sometimes did, but most of the outings were like trips to the gas station; our family of six needed fast service and a cheap way to fill the tank. My earliest memory of food is not about eating. I was four years old and pawing through our wooden cupboards, emptying the contents of little spice tins, jars of dried beans, and cereal boxes into a large plastic bowl, adding water and stirring with wonder. The result was an inedible hodgepodge of soggy flakes and tooth-chipping legumes scattered like pebbles in a murky pond. I named it a “cat treat” and set it on the floor for my pets. One Christmas I graduated from cat treats when Santa brought me an Easy-Bake Oven so I could experience the joy of eating my creations. 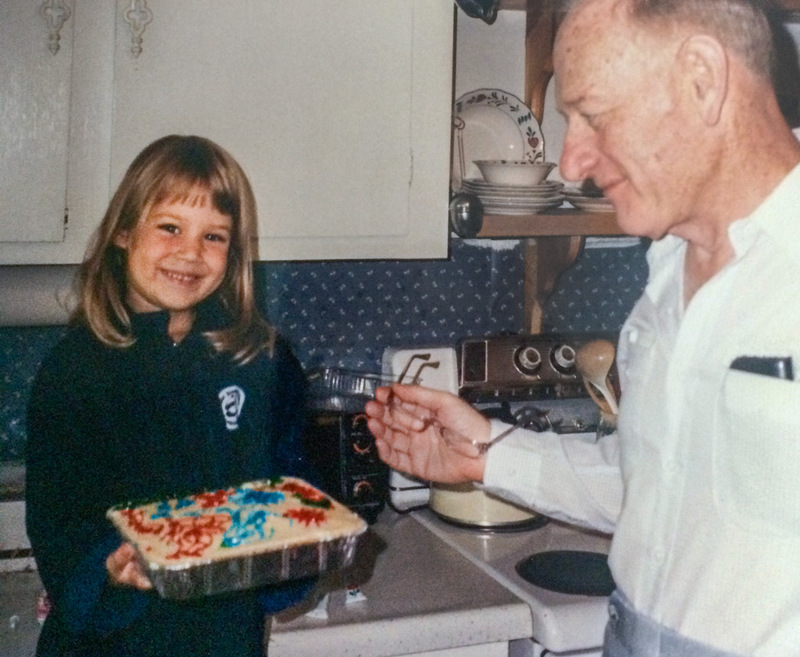 I spent the next year pulling tiny foil trays of brownies and cakes from the flimsy electric oven, blissfully unaware of nutritional content and brand names. I didn’t understand that food could be a status symbol until adolescence. I grew up in a conservative, insular town with two types of residents: those who clustered in newly-built mansions on manicured lots with sterile white carpets and finished basements, and those who lived in randomly platted houses of mossy stone or weathered wood, their basements damp and scary. The kids from the white-carpet houses carried branded chips in their lunch bags. I lived in an old stone house with creaky wood floors and mismatched dishes. I stood in the cafeteria line with a card for the reduced lunch program. 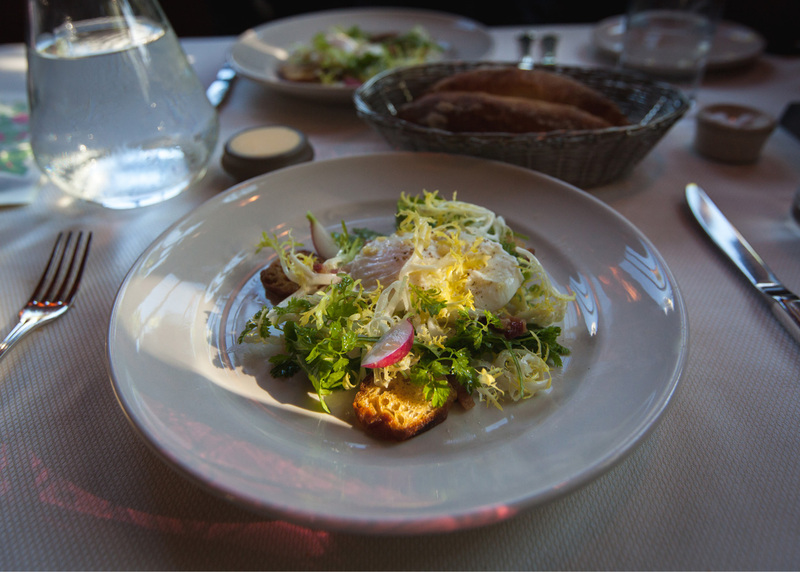 After our aperitif, the meal at Chez Panisse began with frisée beneath poached farm eggs and pancetta. It’s a dish I’d attempted years ago for my then-boyfriend’s parents, who owned Le Creuset cookware and had bicycled across France. I didn’t understand proportions yet and stuck to Thomas Keller’s recipe for this classic dish with a death grip that robbed the final product of the delicate touch it required. My poached egg was a little too wet, my lardons were a little too burnt, and my frisée, rather than a flurry of wispy fronds, was a tangle of thick stalks. The whole dish reeked of kitchen rookie, but I introduced it as Salade Lyonnaise in sing-songy elocution and everyone ate every last bite, clumps and all. I left my small town in favor of college in a city, hoping for a world beyond lunchroom angst. My roommate was Italian-American, the daughter of immigrants. In the basement of her parents’ Philadelphia house, prosciutto hung from the ceiling and craggy hunks of Parmigiano-Reggiano aged in the cool dark. During one visit to her home I watched wide-eyed as her mother dusted cheese over my plate of olive-oil-fried eggs like new snow on Christmas morning. My roommate taught me to make marinara from scratch, and we fed the boys in our dorm and I felt powerful. I had alchemized a tomato into sauce and commanded a room with my own creation. It was like magic. The fish course was golden beets and fennel with bits of black truffle and steamed Mendocino cod, its flesh the texture of firm butter. One summer in Kentucky when I was home from college and looking for a job that would have nothing to do with my degree, I wandered into an upscale restaurant near my house and asked about a serving gig. “We’re really looking for people who know a lot about food,” the host retorted. “Do you know what a truffle is?” I didn’t. I thought of that old Kentucky restaurant as I mopped every ounce of truffle butter from my empty plate, catching my smiling reflection in the window overlooking the bunya-bunya tree in the courtyard. 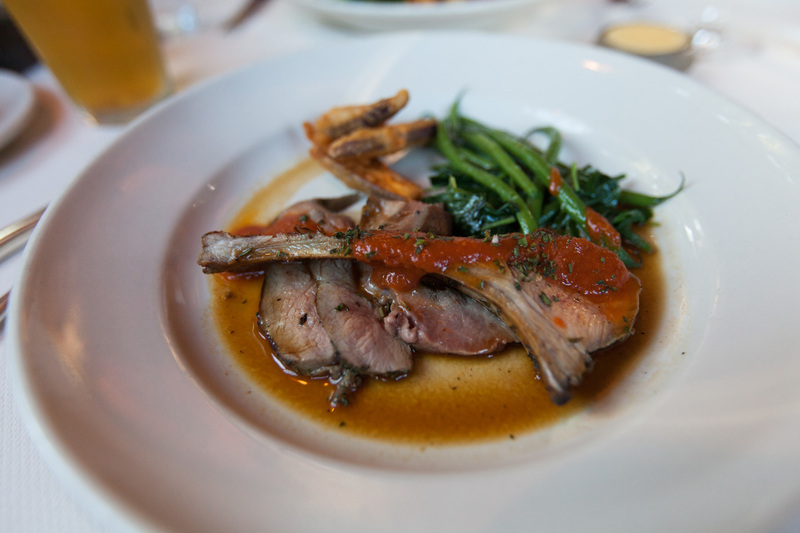 The Watson Ranch lamb, roasted on an open fire, was almost demure, served with a simple tomato coulis, tiny eggplant fritters, haricot verts, and amaranth greens perfumed with fresh garlic. A glass of red wine from Corsica tasted like warm, wet stone, its body like Zinfandel without the ostentatious fruit. I felt debonair, like Marcel Pagnol’s characters tipping their glasses toward the Gulf of Lion. Winston and I talked about childhood, his just down the street yet in another universe, with a lemon tree in the triplex yard in a neighborhood next to inner-city violence and wandering crazies released from mental institutions during the Reagan years. My hometown was far less storied than Berkeley, and I pulled up a picture of my first house on Google Earth. We giggled at the ramshackle duplex where I’d spent my early years. The porch, now littered with broken stuff, was once covered in screened walls and had a ceiling fan. My bedroom overlooked a little backyard where I had a homemade treehouse and a single rosebush that I would run out and smell each morning when it was in bloom. My parents, young and full of hope, would buy sweet acidophilus milk in a red carton, and I remembered the musty smell of the natural foods market. 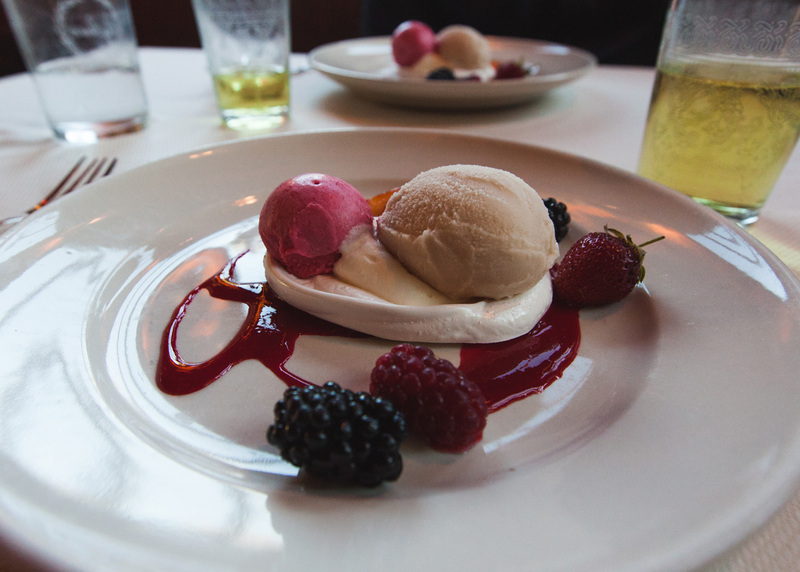 We abandoned etiquette and succumbed to childlike glee at the first taste of dessert: sorbetto made with the season’s first Santa Rosa plums, almond parfait meringata, and blackberries and slices of ethereal nectarine. I wondered how they knew that each blackberry would be soft and sweet. A nectarine you could slice and taste before serving, but a whole blackberry was like a game of roulette. We finished our meal with herbal tea served in etched glasses. The window by our table had panes of stained glass that shone colors onto our white linen tablecloth. I had once imagined a sense of pride I might feel at the end of my first meal at Chez Panisse. I’d have achieved a place in the world. I could shed all the mismatched parts of myself that didn’t fit neatly into the picture I had so carefully painted of my adult life. But what I found as I lingered at the cleared table wasn’t self-importance. It was relief. I hadn’t whitewashed the imperfect elements of my past like the colorless walls in the mansions of my childhood. This food did not ask me to be somebody else; it reminded me of myself. I had witnessed a higher purpose manifest while running my little grocery business as my customers conversed over stacks of fresh vegetables, transforming a once-empty parking lot into a community. Ms. Waters knew it, too, when she opened her doors with a single menu: pâté en croûte, canard aux olives, plum tart and coffee — for less than four dollars. It’s well-known that food has the power to bring people together. But it’s also a language when we have no words. It evokes our sense of wonder. It reminds us who we are. “Will you take my picture under the sign?” I asked Winston on our way out. He chuckled but obliged before finally nudging me along to unblock the entrance for other diners. One patron waiting patiently for my moment to end smiled as I stepped aside. I wonder if she’s been here before, or if this is her first time, I thought as we exited. I wonder if she grew up a mile or a continent away, in an old home or a gleaming mansion. I wonder if she knows what a truffle is. 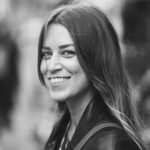 Amelia Pape is a freelance food and culture writer who explores the people, stories, and social issues surrounding global cuisine. Find her online at ameliapape.com. 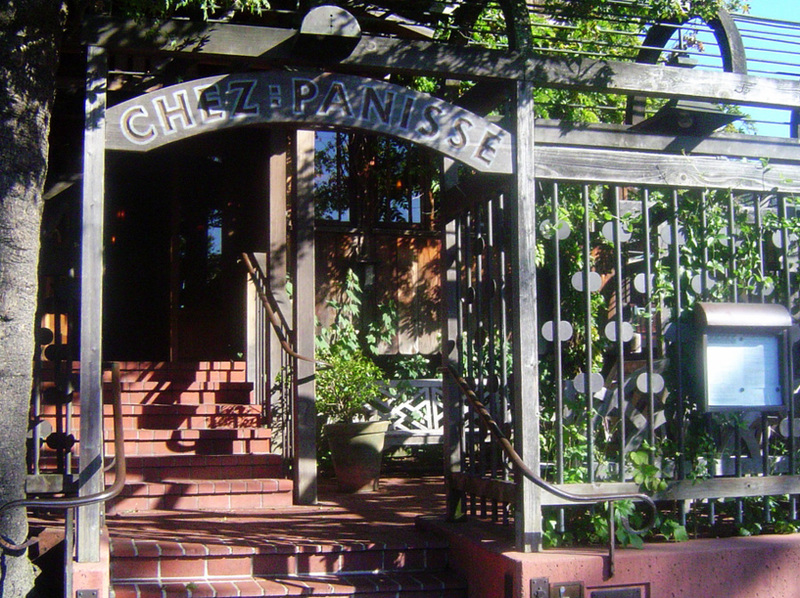 Photo credits: Chez Panisse entrance via Wikimedia Commons/Creative Commons; all others courtesy of Amelia Pape. There are many layers to “we are what we eat.” Thank you for revealing more of them.